Find this 1999 Jeep Cherokee Sport XJ here on eBay bidding for $3,200 with a few hours to go, located in Silver Spring, MD. 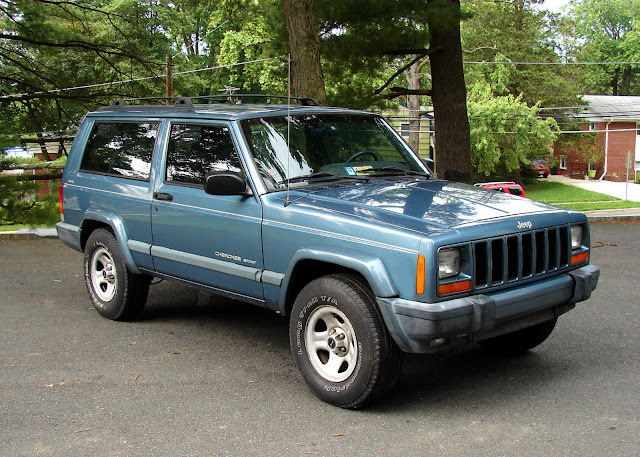 YOU ARE BIDDING ON A EXCEPTIONAL AND RARE 2 DOOR 1999 JEEP CHEROKEE XJ 4X4 SPORT WITH AUTOMATIC TRANSMISSION. 100% STOCK WITH NO MODS AND NO RUST. VERY REASONABLE 157K MILES FOR A 1999 AND VERY GOOD OVERALL CONDITION. 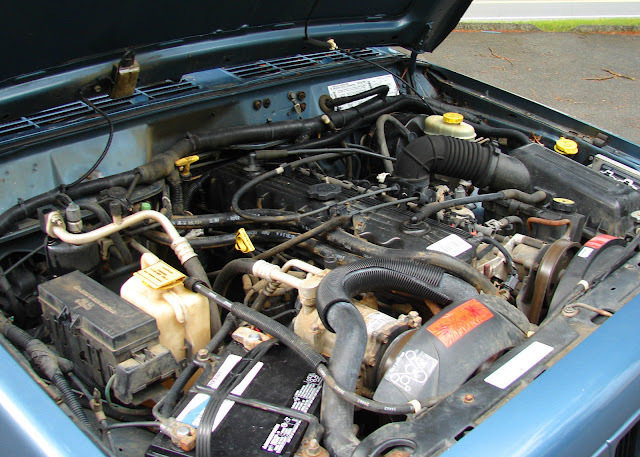 THE MOTOR RUNS EXCELLENT - SMOOTH AND POWERFUL WITH NO LEAKS AND NO NOISE. THE AUTOMATIC TRANSMISSION SHIFTS PERFECTLY THRU ALL GEARS. THE 4X4 SYSTEM SHIFTS INTO AND OUT OF ALL SETTINGS QUICKLY AND SMOOTHLY. 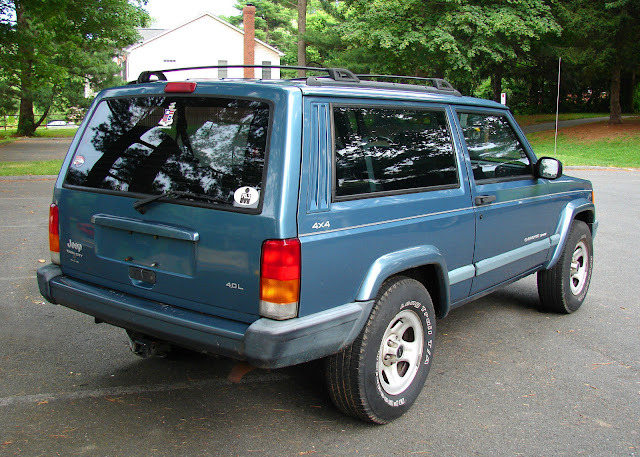 THE BODY AND PAINT ARE VERY GOOD TO EXCELLENT - STRAIGHT, GOOD COLOR AND SHINE, NO RUST AND NO ACCIDENTS. 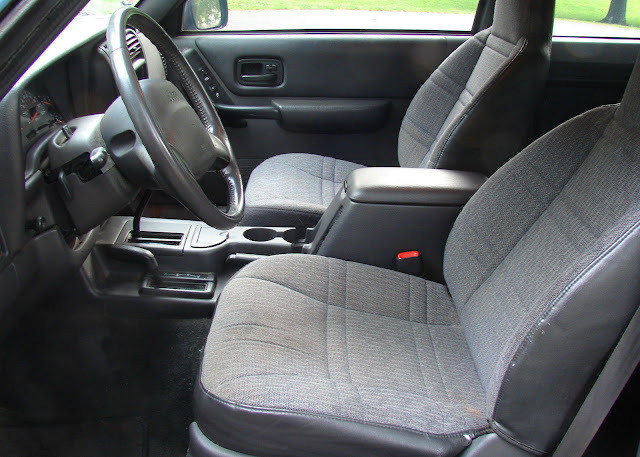 INTERIOR IS ALSO IN VERY GOOD CONDITION WITH VERY LITTLE WEAR AND CLEAN. ICE COLD AC ! POWER WINDOWS AND LOCKS. (PASSENGER WINDOW REGULATOR NEEDS REPLACEMENT) TILT WHEEL. TIRES ALL MATCH AND HAVE 75% OR BETTER TREAD. BRAND NEW BATTERY. CLEAN UNDERCARRIAGE, EXHAUST ETC. THIS JEEP HAS NEVER BEEN USED FOR OFF-ROADING ETC. THIS IS A NO RESERVE AUCTION. HIGH BIDDER WINS IT. LETS KEEP EBAY A GREAT PLACE TO BUY AND SELL !! !GOOD LUCK BIDDING !